A report on the internet has published more details of the new 1.5 litre diesel engine that Maruti Suzuki is set to introduce soon. This motor will be available on the Ciaz and Ertiga and on the S-Cross too. The 1,498cc engine has been developed in-house and makes 95.17PS at 4,000rpm and 225Nm at 1,500-2,500rpm. This motor will be paired with a new six-speed manual transmission. This motor will eventually replace the earlier 1.3 litre Fiat-sourced motor to keep in line with the new BSVI norms coming in April 2020. The new motor is BSIV-compliant as of now. A BSVI version will be launched close to the deadline. Maruti Suzuki is possibly doing this to deter the steep price hike that will come with the BSVI-compliant engine. 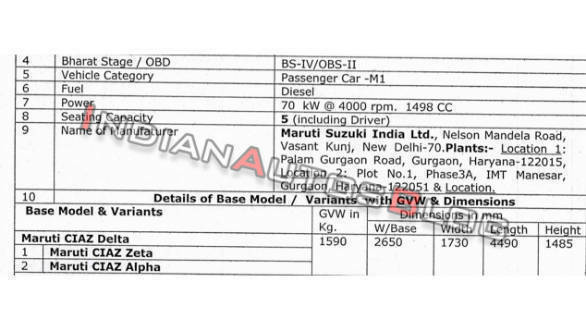 The document suggests that the new engine will be offered only on the top-spec Delta, Zeta and Alpha trims. The engine is being called the DDiS 225. 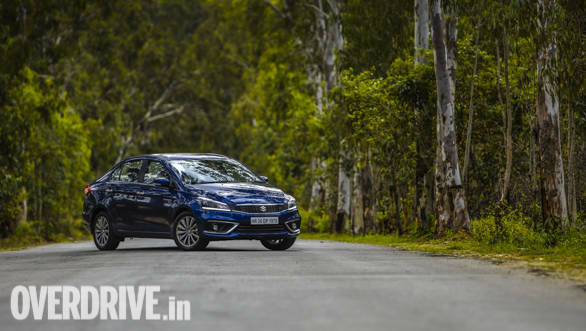 It will come with no mild-hybrid assistance but will see a fuel economy improvement to 26.82kmpl.